UP election results 2017: Smriti Irani took digs at Congress, Rahul Gandhi and Priyanka Gandhi. The BJP's victory in Uttar Pradesh is proof that tough decisions can be taken in politics without fear of a backlash in elections, Union Minister Smriti Irani said today, asserting that the results were a stamp of approval for Prime Minister Narendra Modi's leadership and policies, including the notes ban. "People used to be scared of taking difficult decisions because of political cost. 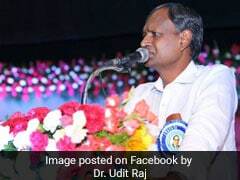 But Narendra Modi has proved those fears wrong," Ms Irani told NDTV. "The myth of a certain caste or religion vote bank for a particular party or alliance has been busted. Sabka Saath Sabka Vikas is the only mantra." The BJP has scored a landslide victory in Uttar Pradesh, where it has been out of power for 14 years. It has also won big in neighbouring Uttarakhand. Former Chief Minister Mayawati, whose Bahujan Samaj Party was elbowed to third place, expressed shock and alleged a massive vote fraud. 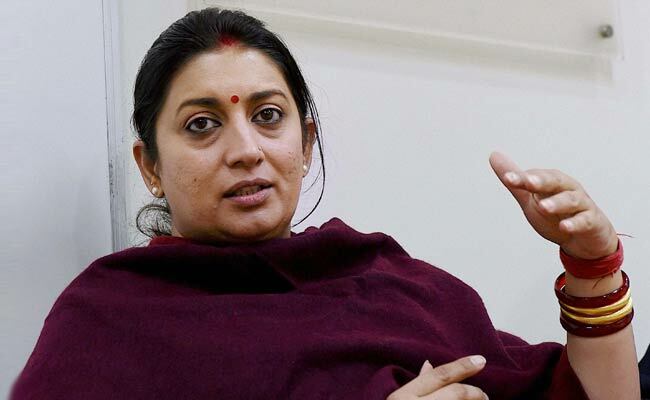 "Grapes are sour," sneered Ms Irani. She also took digs at the Congress, its Vice President Rahul Gandhi and Priyanka Gandhi. "One has to do justice. This is not only Mr Rahul Gandhi's failure. Ghulam Nabi Azad had very magnanimously claimed that Priyanka is very much part of the strategy. I think the sibling (Priyanka) waiting in the wings has equally failed," Ms Irani was quoted by the Press Trust of India as telling reporters. ganga maa ki kasam aur batao UP ko kiska saath pasand hai" (Swear in the name of mother Ganga and say who Uttar Pradesh prefers).